Hans Andersen Brendekilde (7 April 1857 Brændekilde, Odense Municipality - 30 March 1942, Jyllinge) was a Danish painter🎨. 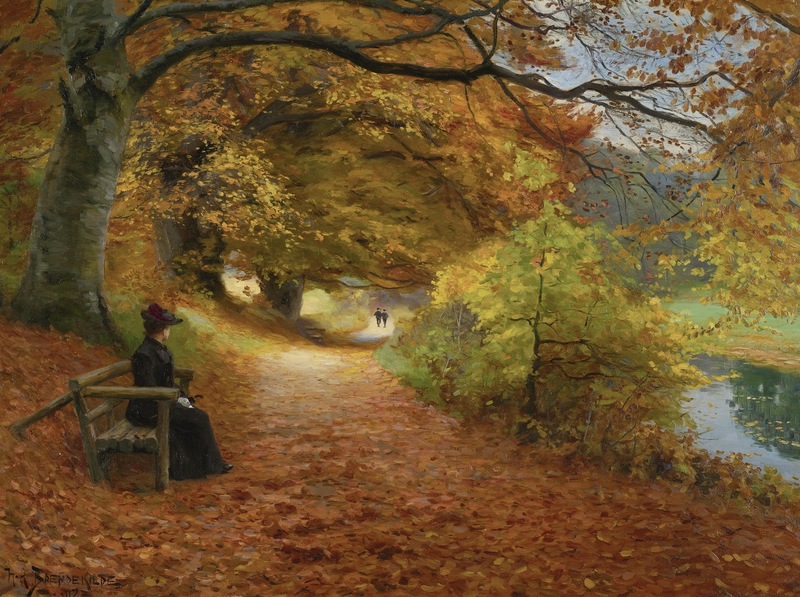 Hans Andersen Brendekilde grew up in Braendekilde, a small village close to Odense on the island of Funen. He was a distant relation of Hans Christian Andersen, the famous writer of fairytales, and like his relation he had a very poor childhood. The fathers of both were clog makers. 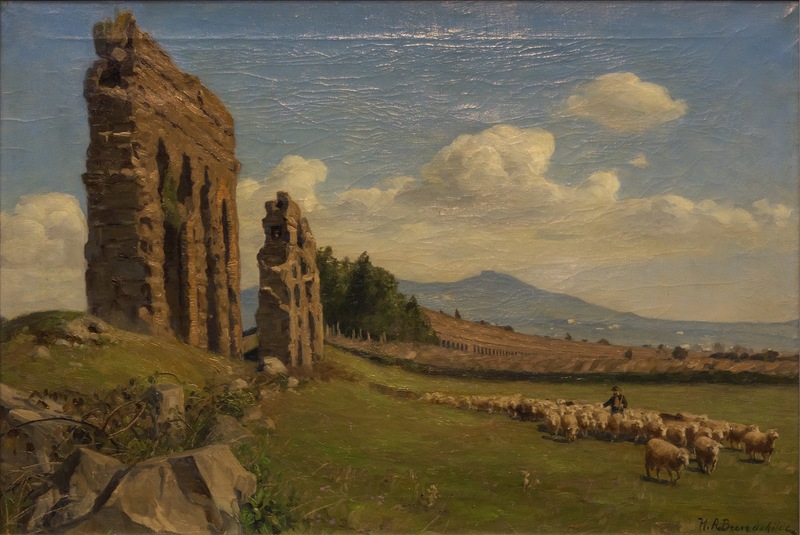 At the age of 4 Brendekilde left his parents and lived with his grandparents until the age of 10 when he made his living as a shepherd, getting board and lodging. At school a teacher discovered his ability to carve animals in wood and from 1971-74 he was apprenticed to the wood carver and stone mason Wilhelm Hansen in Odense. 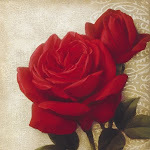 In 1877 he was educated as a flower painter by O.A. Hermansen and the same year he was admitted to the Royal Danish Academy of Fine Arts in Copenhagen. His teachers were the sculptors Jens Adolf Jerichau and Harald Conradsen (1817-1905). At the academy he found many friends who remained faithful to each other for the rest of their lives. In 1881 he left the academy with distinction. 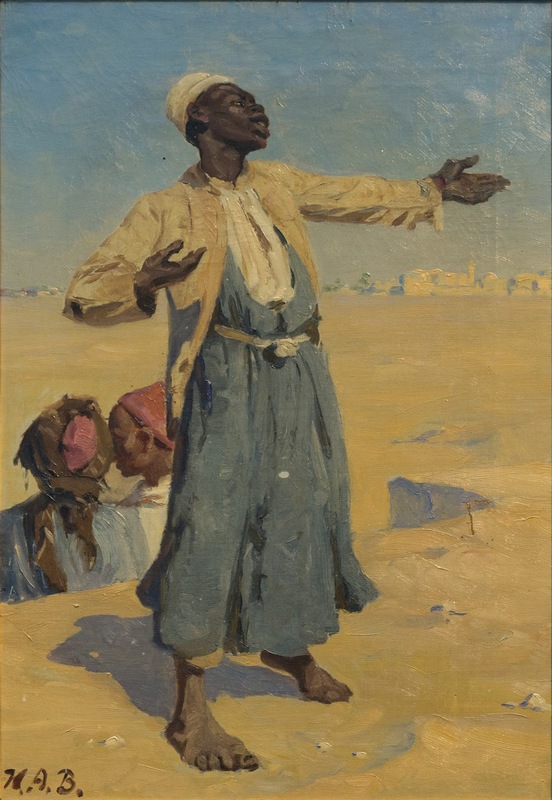 Though educated as a sculptor he immediately started as a painter. 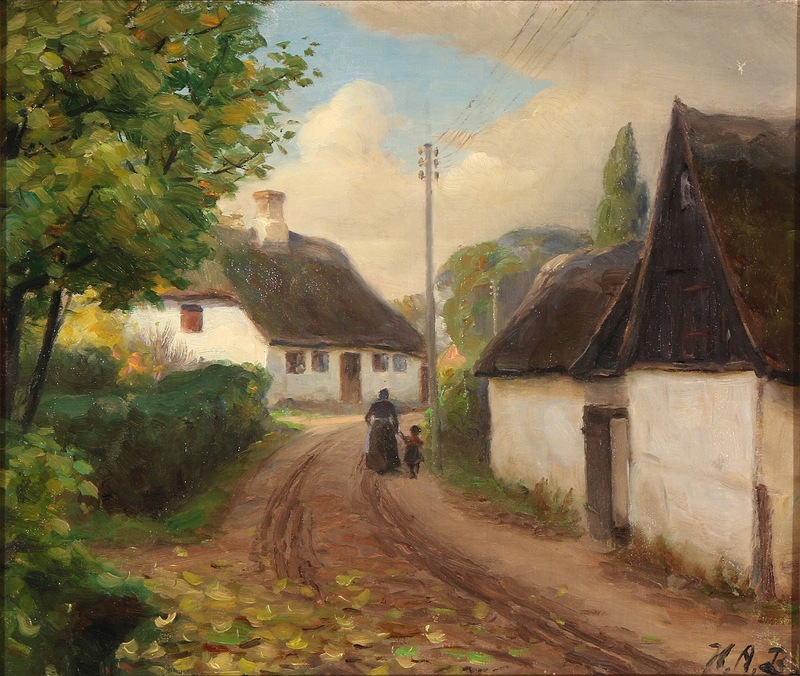 Brendekilde and L.A. Ring are the first Danish painters, who grew up among poor people in the countryside and depicted the true conditions of life in rural Denmark in the period from 1880-1920. 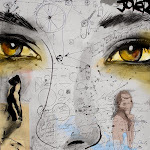 They are social realist open-air painters, depicting poor people whether working in the fields or in their houses, showing the tragic sides of life. In this sense they belong to the so called modern breakthrough or rather popular breakthrough. Among others, the authors Henrik Pontoppidan (Nobel Prize in Literature 1917) and Jens Peter Jacobsen are representatives of the modern breakthrough in Denmark. Brendekilde´s friend Martin Andersen Nexø represents the popular breakthrough in literature. H.A. 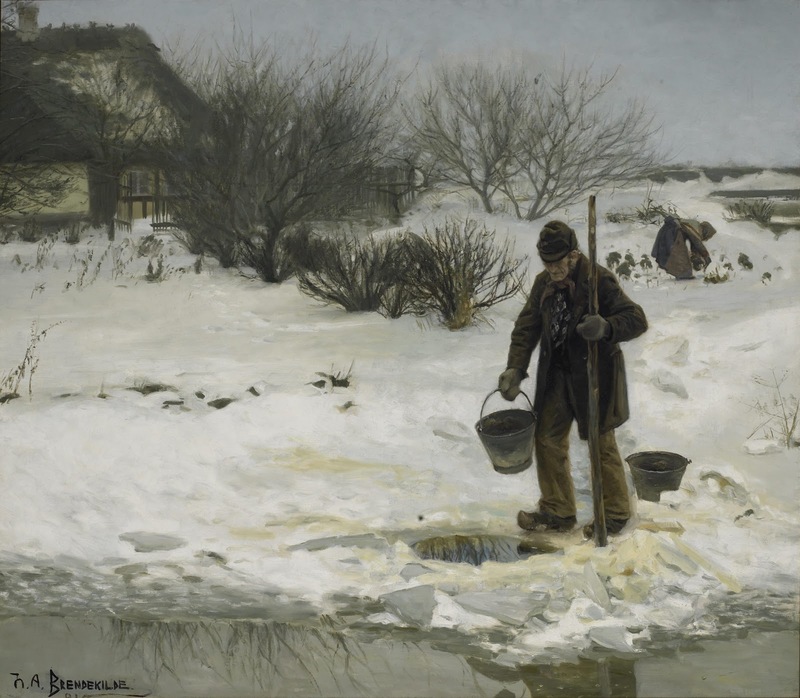 Brendekilde´s influence was great not only on society, but also on his many friends among painters and potters. Among the painters especially on L.A. Ring. During their young and poor years they were sharing room and studio in Copenhagen for periods. 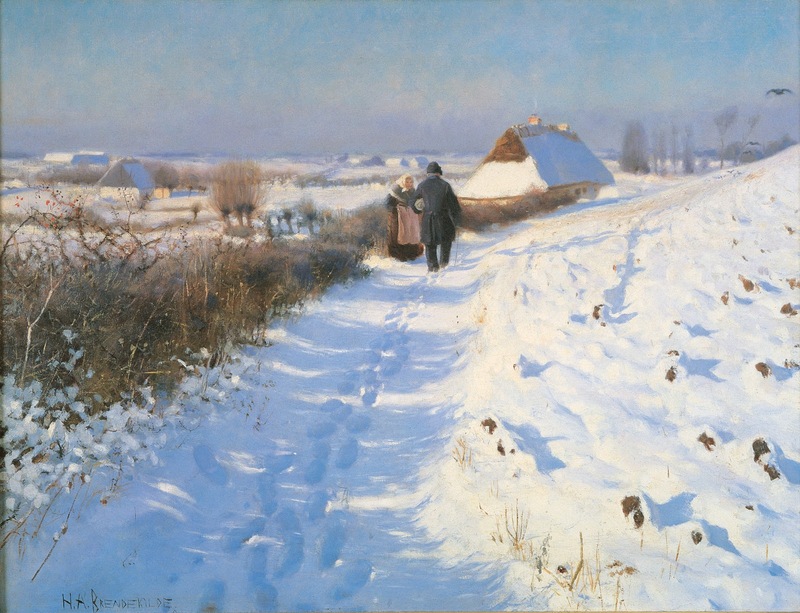 They painted similar themes, both had the family name Andersen and they were therefore often confused with one another. So in 1884 they changed their family names Andersen to the names of their native villages instead, Brendekilde and Ring. 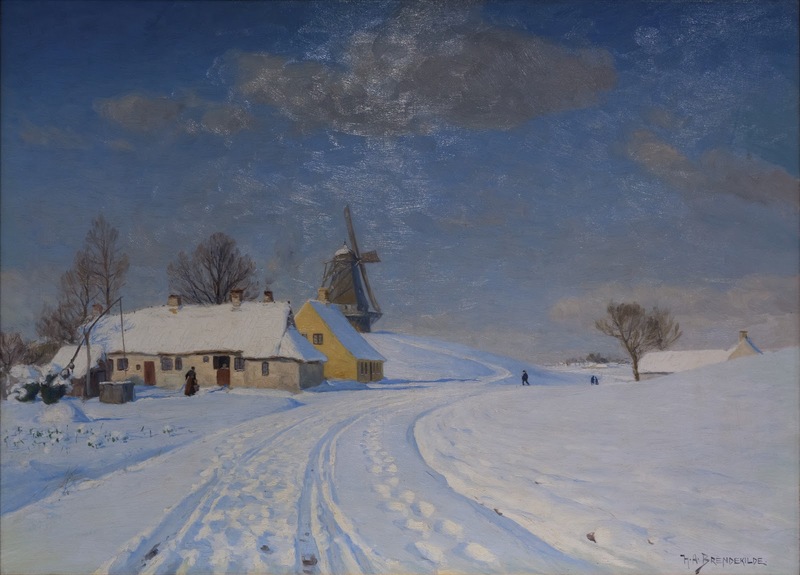 Brendekilde was always in a good mood, he had a genius for painting, he was always deeply committed to paint life in the small villages and furthermore an ardent socialist. 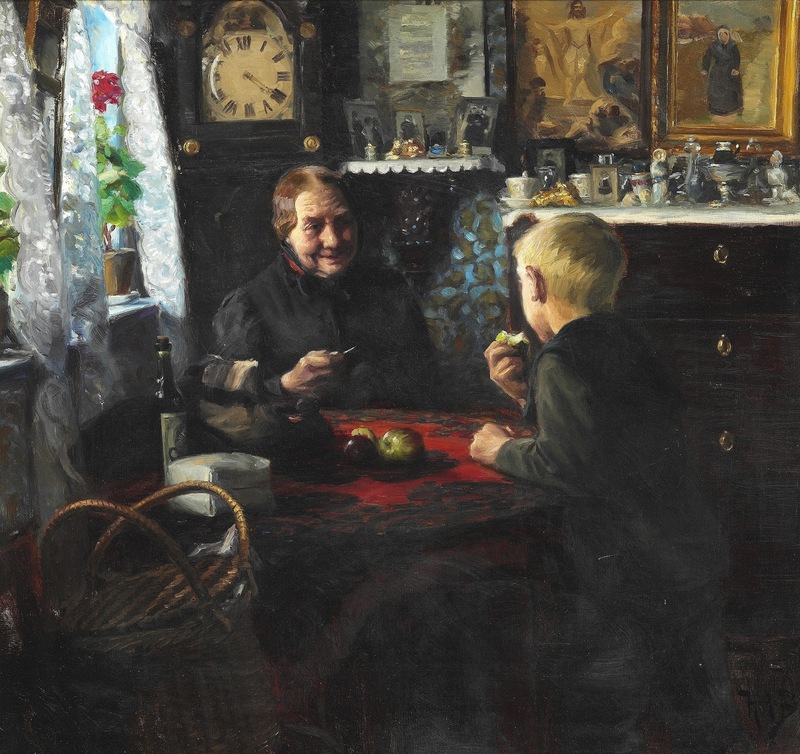 Ring was of a more depressive disposition and Brendekilde encouraged him to continue painting and join exhibitions. 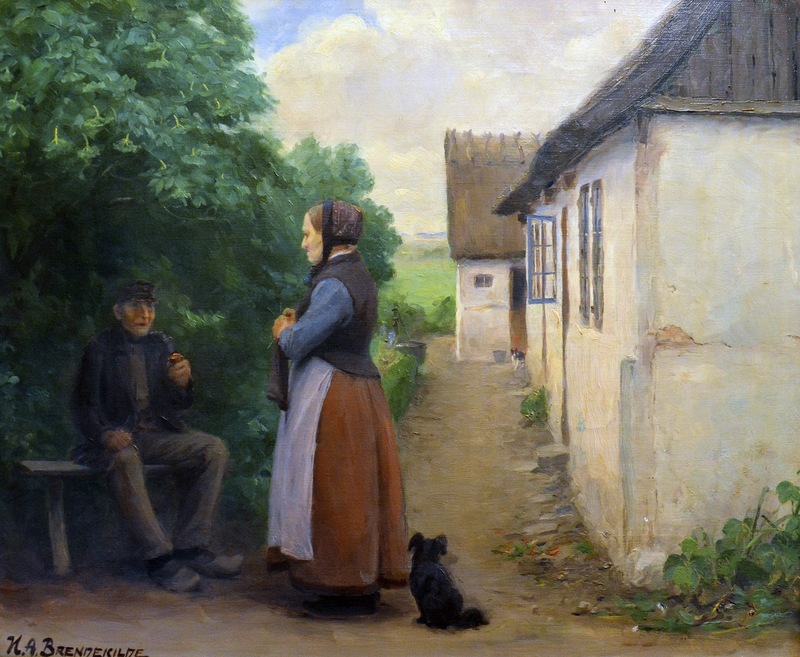 Brendekilde also introduced Ring to Lars Ebbesen who had a farm “Petersminde” in “Raagelund” close to Odense. 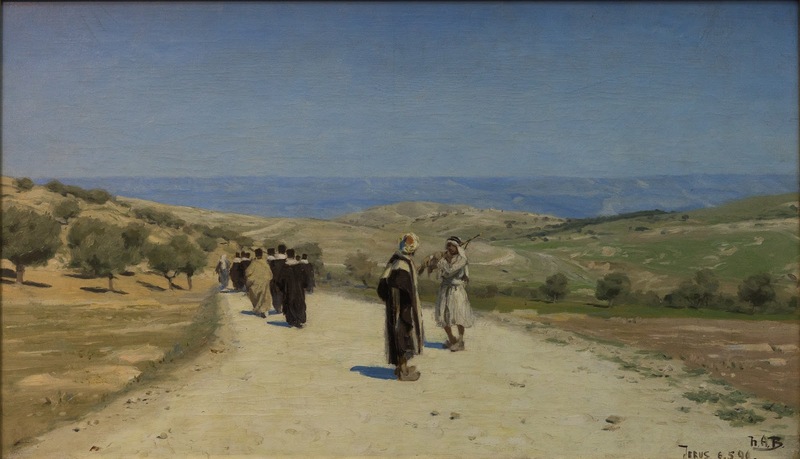 In 1883 L.A. Ring was living a life in extreme poverty in Copenhagen, but the introduction to Lars Ebbesen meant that he could live and paint without worrying about the cost of rent and food for long periods. 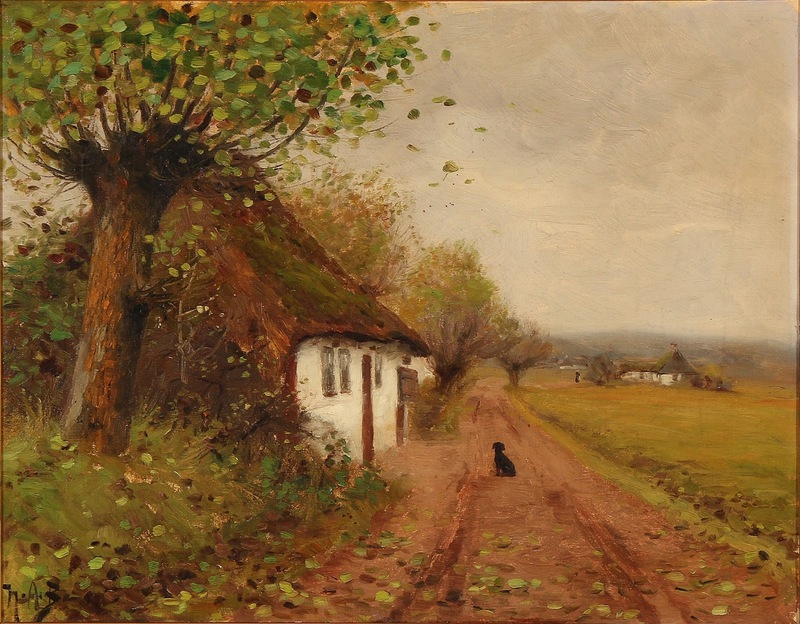 Both Brendekilde and Ring got a lifelong friendship with farm owner Ebbesen. 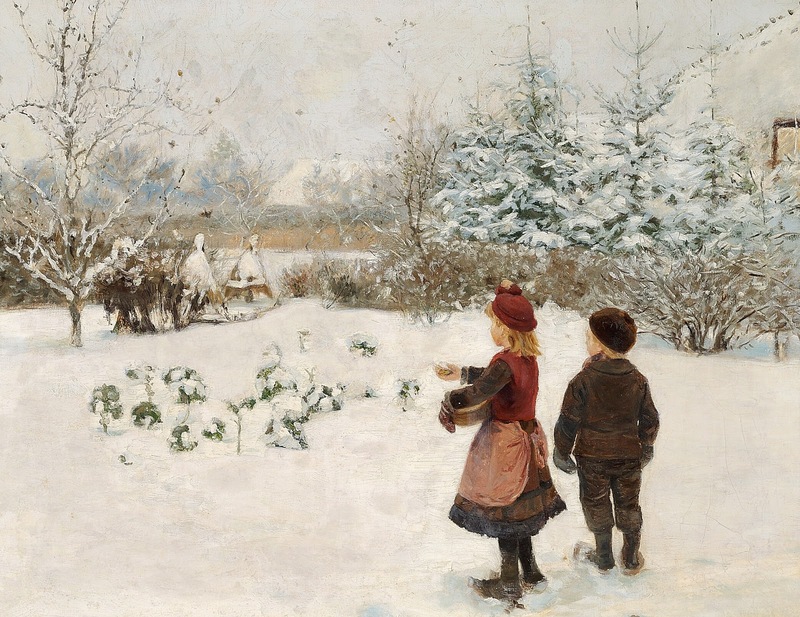 Several of Brendekilde’s paintings became very famous and won medals🎨 e.g. at the World Expositions in Paris 1889, in Chicago 1893 and at the “Jahresausstellung” im Glaspalast in München 1891. 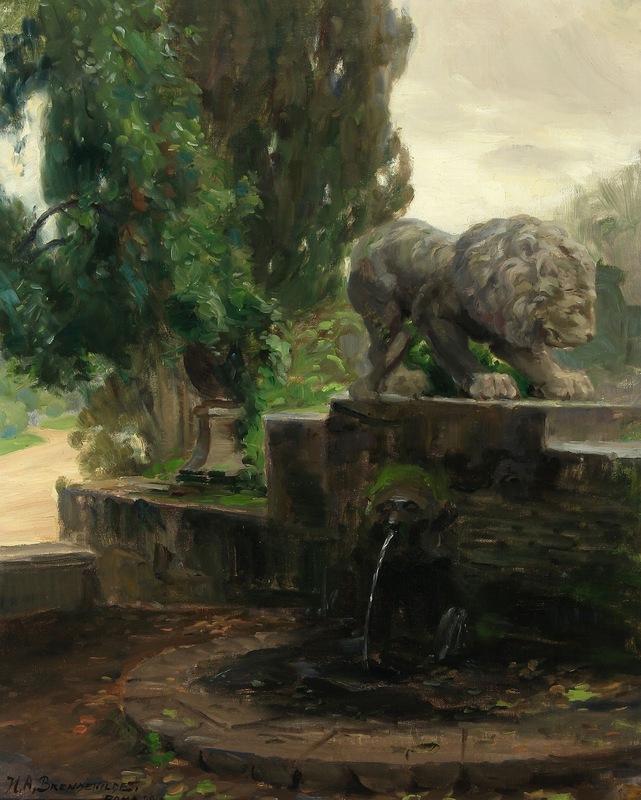 He also inspired painters like his friends Julius Paulsen, Peder Mønsted🎨, Hans Smidth, Paul Fischer🎨, Søren Lund [da] and H. P. Carlsen. 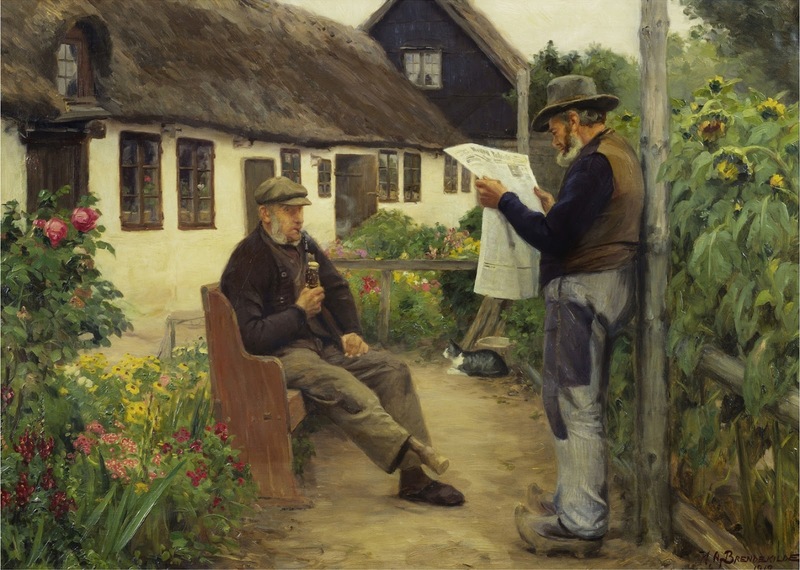 Brendekilde is the first painter bringing the arts and crafts movement to Denmark when from about 1884 he designed and made integrated frames around his paintings, the frames being part of the paintings and their story. 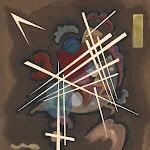 Some frames were symbolistic and others more ornamental. 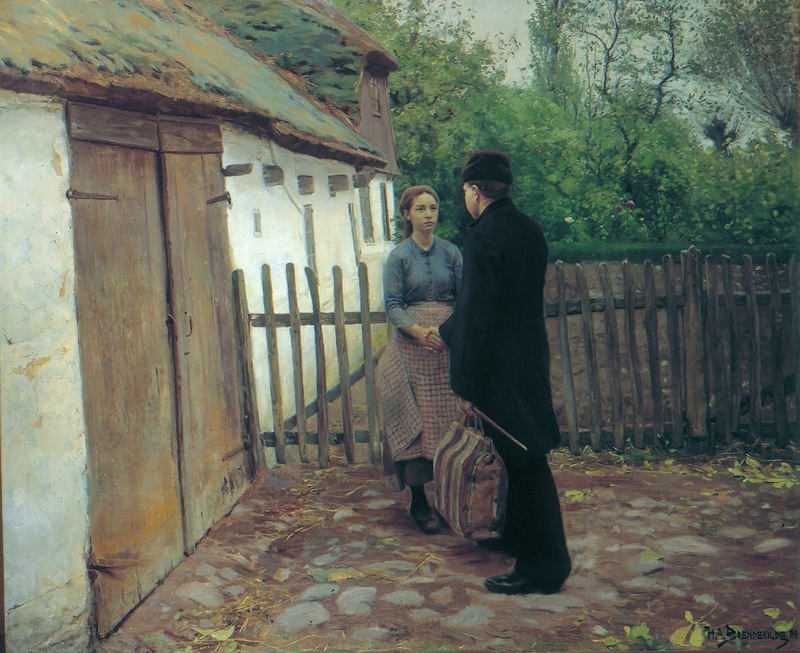 Many of his paintings are obviously related to those by Anna and Michael Ancher, P.S. 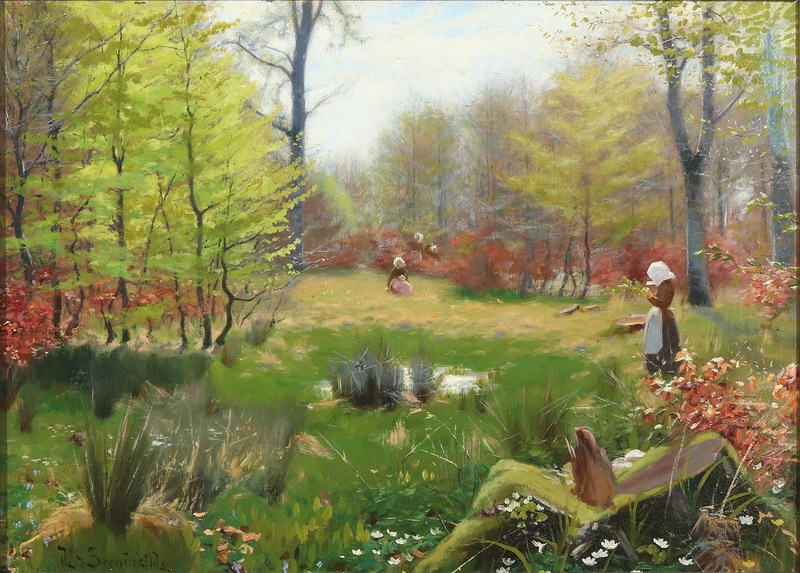 Krøyer🎨 and the Swedish painters Carl Larsson🎨 and Anders Zorn🎨. All of these displayed their paintings at the international exhibitions in Copenhagen 1888, Paris 1889, Munich 1891 and Chicago 1893. Brendekilde illustrated some novels by Henrik Pontoppidan. 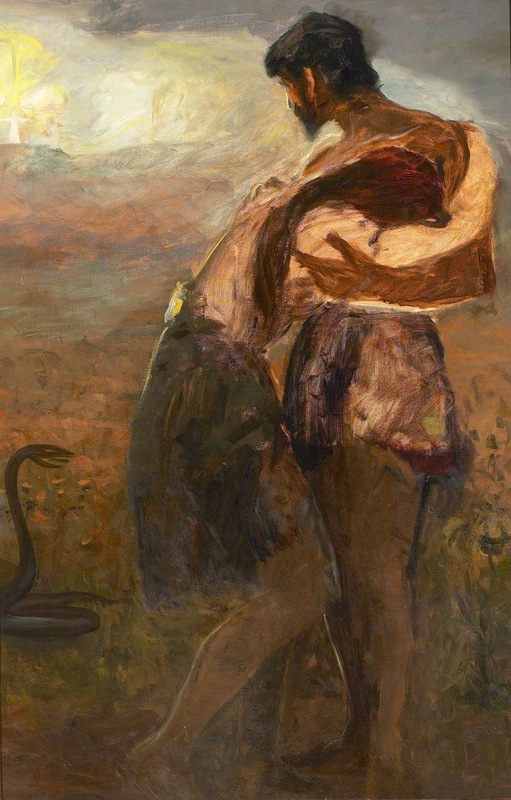 Pontoppidan made use of Brendekilde as a model for the painter Jørgen Hallager - a socialist and a hero - in his famous novel “Nattevagt”, “The Night Watch” (1894). 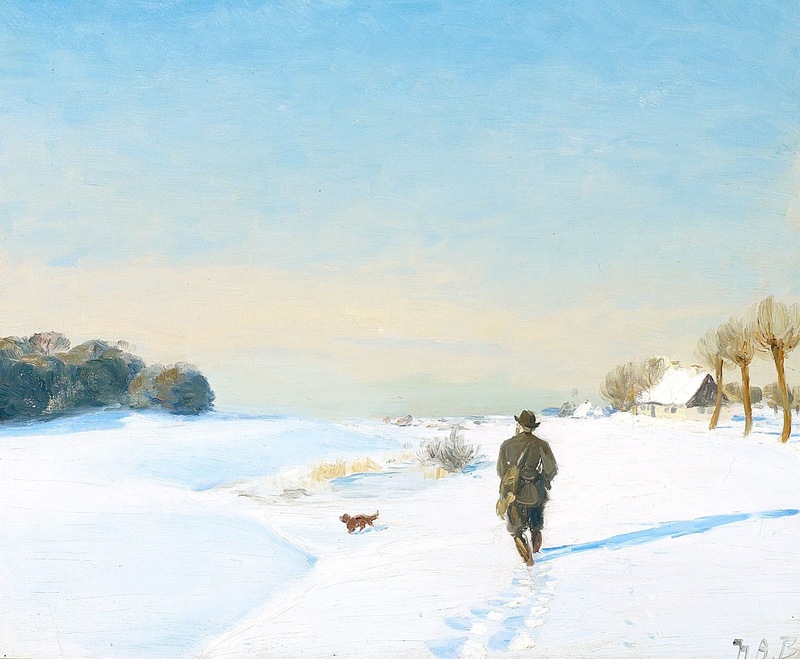 Henrik Pontoppidan immediately realized that “Worn Out” is a painting encouraging revolution. The reason for this is that the woman has no tears in her wide open eyes, she wears a most unusual red sweater and her red hair symbolizes blood and a scream for a better future. 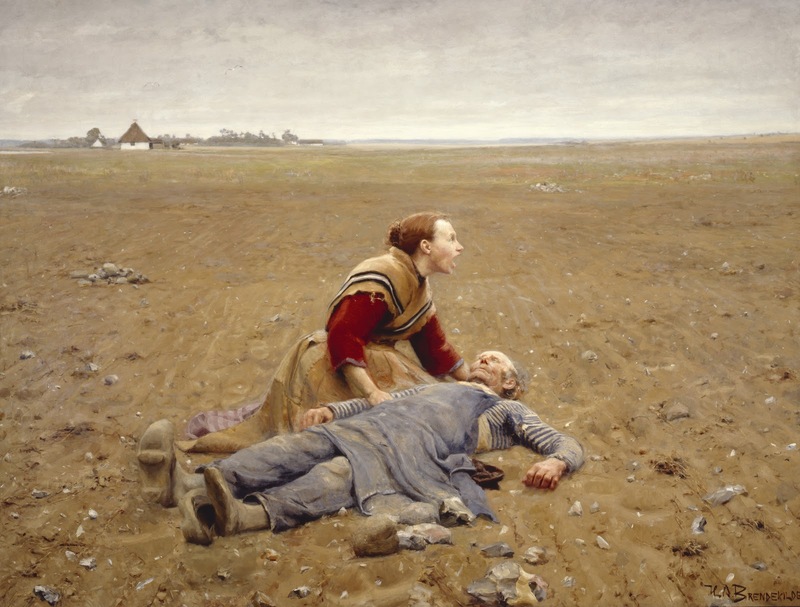 In this novel Henrik Pontoppidan interpreted the dead man in “Worn Out” as a martyr. Brendekilde also illustrated Vilhelm Bergsøe’s book “Nissen” (1889). He is regarded to be the first artist working with glass in Denmark making decorations and forms for the Glassworks of Funen in Odense from 1901-1904. He is also the first artist working for the famous pottery of Herman A. Kähler from 1885-1907. He introduced several friends to Kähler and they continued working at the pottery for years. Among others Carl Ove Julian Lund (1857-1936), who made important contributions to the ceramic field. 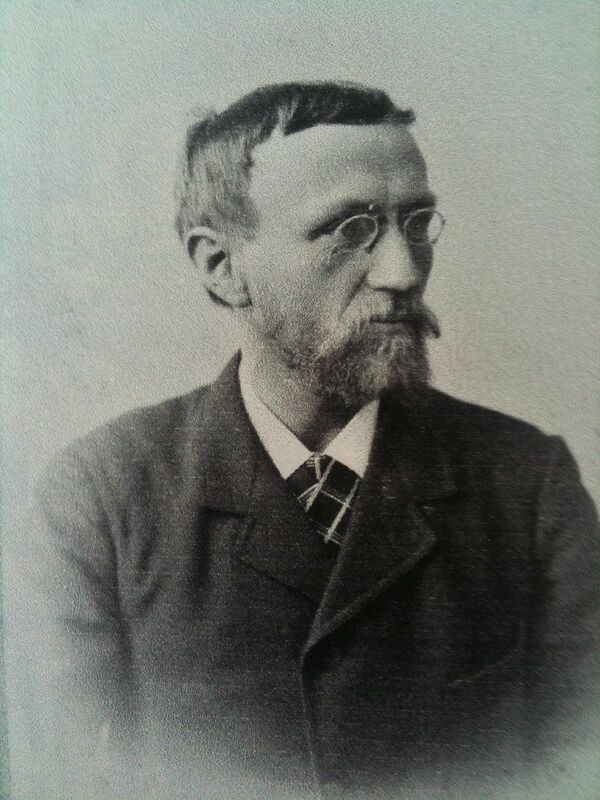 Lund and Brendekilde also introduced their common friend, Karl Hansen Reistrup (1863-1929), and he became the most important and productive of all the famous potters. The introduction of L.A. Ring who married Sigrid, Kähler´s daughter, was not essential to the production of ceramics but very important to the family and their history which he depicted on many occasions. 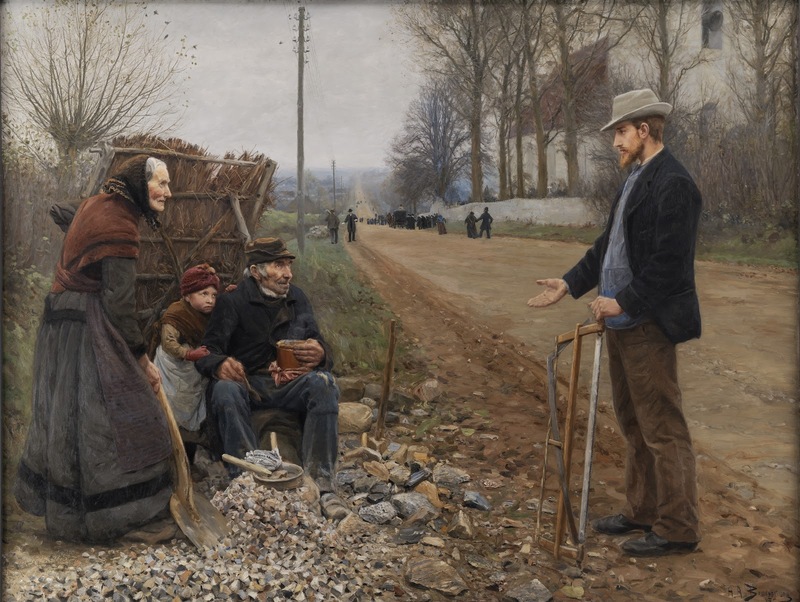 Besides being a social realistic painter, Brendekilde also painted portraits. 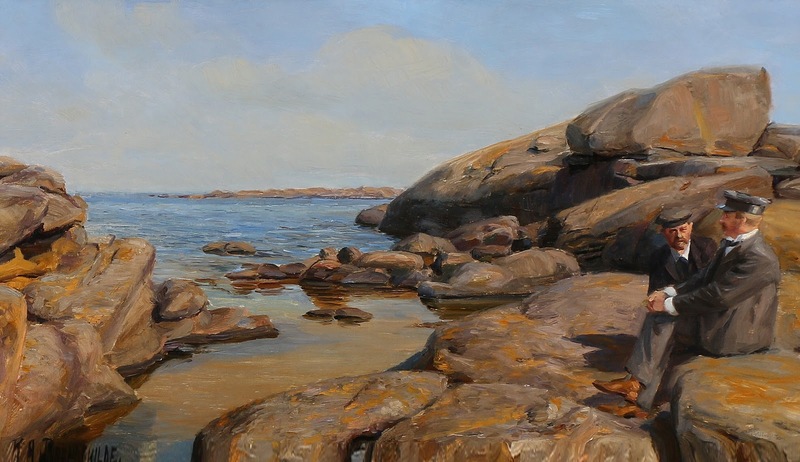 Furthermore, he is one of the few impressionistic painters in Denmark. 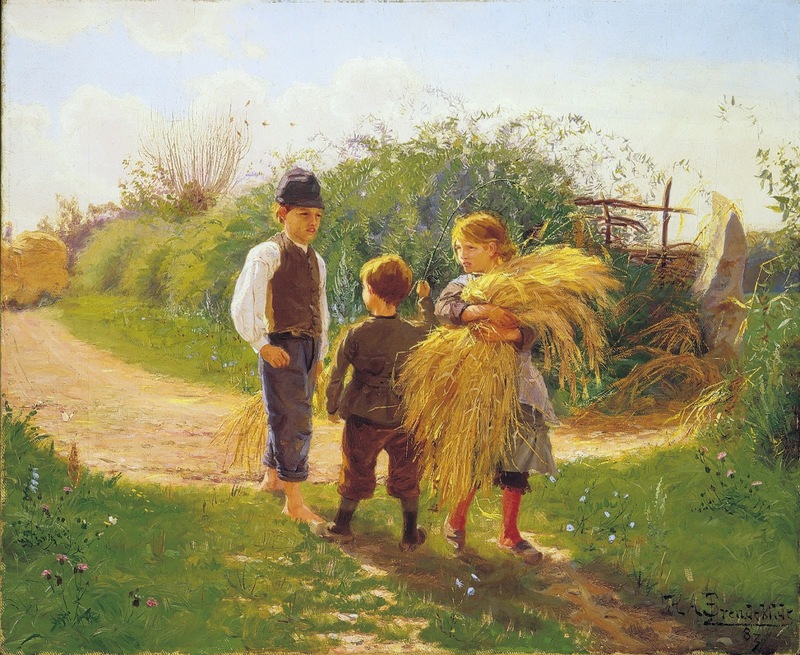 Later in life he became more and more aware of the idyllic sides of life in the country side, painting people, children and flowers. He built a big house in Jyllinge and grew more than 3000 species of flowers in his famous garden, which in many ways reminds one of Claude Monet’s garden in Giverny. In the 21st. 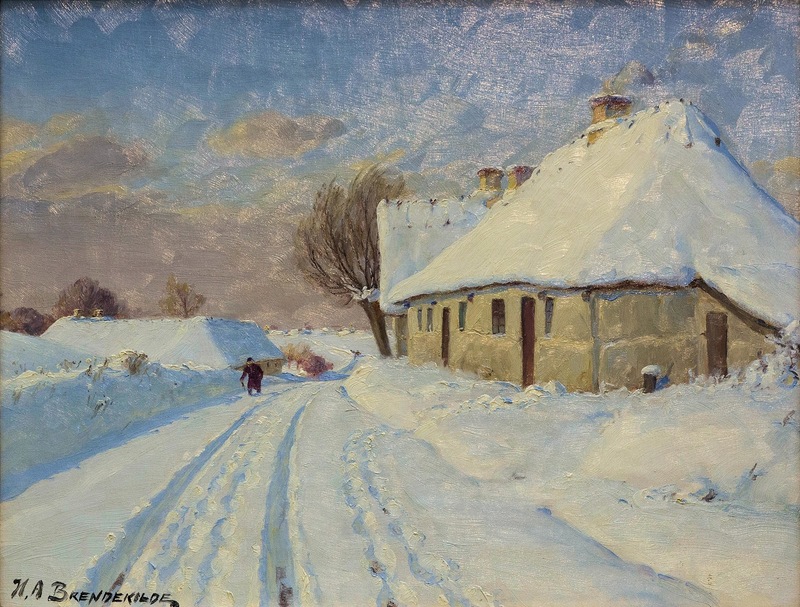 century Brendekilde has been made the subject of intensive studies in the Danish school system and among others he is an inspiration to neo realistic painters like Søren Hagen, Ulrik Møller, Søren Martinsen and Allan Otte. 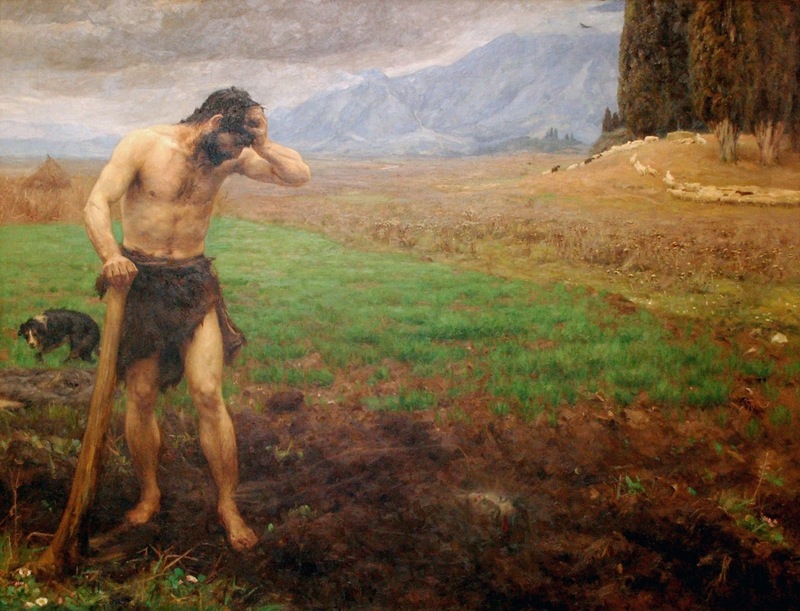 Their paintings depict problematic aspects of farming and rural life today. 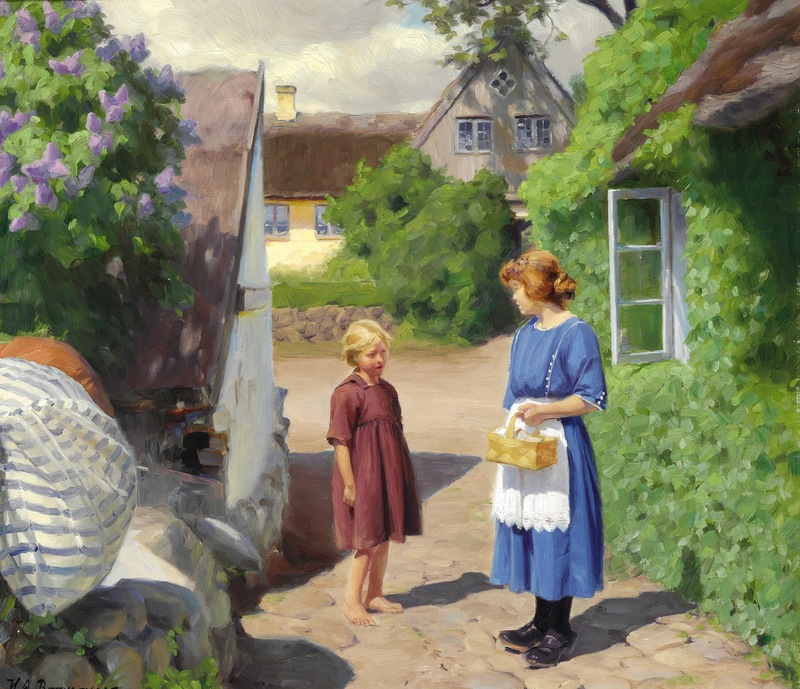 Brendekilde´s paintings are discussed and reproduced in several important books on the history of Danish culture. 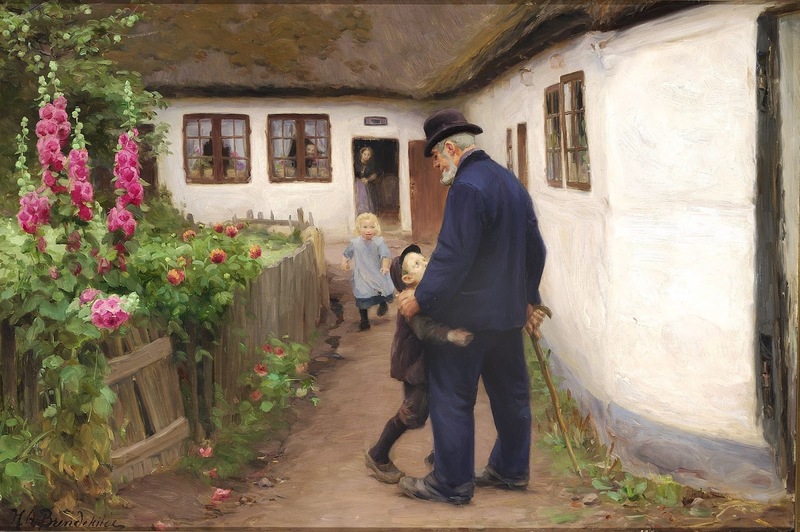 Hans Andersen Brendekilde (7 aprile 1857 Brændekilde, Odense Municipality - 30 marzo 1942, Jyllinge) era un pittore Danese🎨. 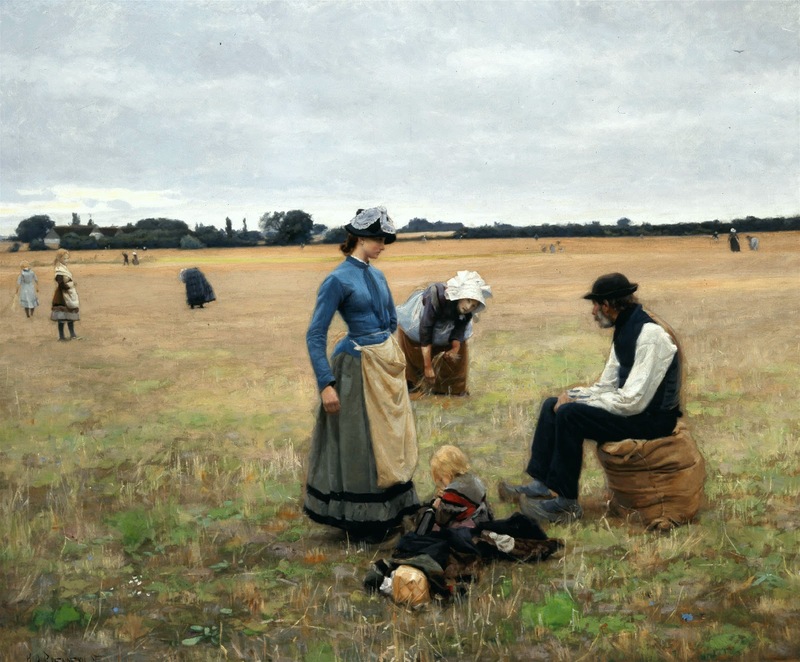 Nel 1877 fu educato come pittore di fiori da OA Hermansen, e lo stesso anno, fu ammesso alla Royal Danish Academy of Fine Arts di Copenhagen. 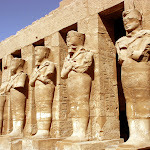 I suoi maestri furono gli scultori Jens Adolf Jerichau e Harald Conradsen (1817-1905). Molti dei dipinti di Brendekilde divennero molto famosi e vinsero medaglie, ad es. alle Esposizione Universale di Parigi del 1889, a Chicago 1893 e al "Jahresausstellung" im Glaspalast a Monaco nel 1891. Ha anche ispirato pittori come i suoi amici Julius Paulsen, Peder Mønsted, Hans Smidth, Paul Fischer, Søren Lund [da] e HP Carlsen. Oltre ad essere un pittore realista sociale, Brendekilde dipinse anche ritratti. Inoltre, è uno dei pochi pittori impressionisti in Danimarca. Più tardi nella vita divenne sempre più consapevole degli aspetti idilliaci della vita in campagna, dipingendo persone, bambini e fiori. Costruì una grande casa a Jyllinge e coltivò più di 3000 specie di fiori nel suo famoso giardino, che per molti versi ricorda quello del giardino di Claude Monet a Giverny.